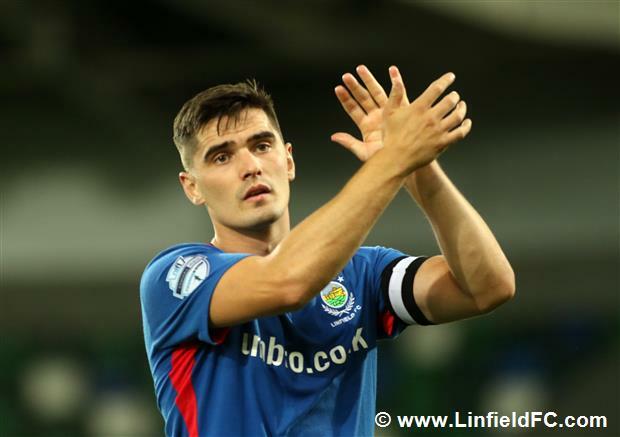 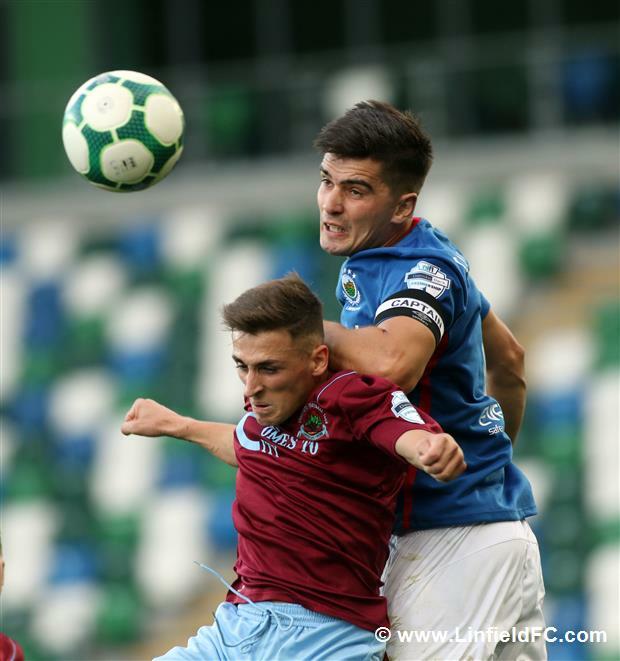 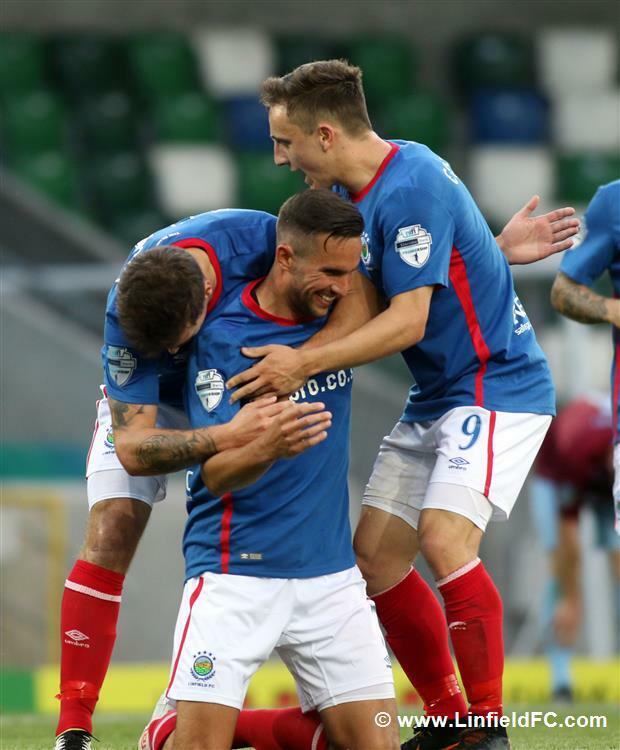 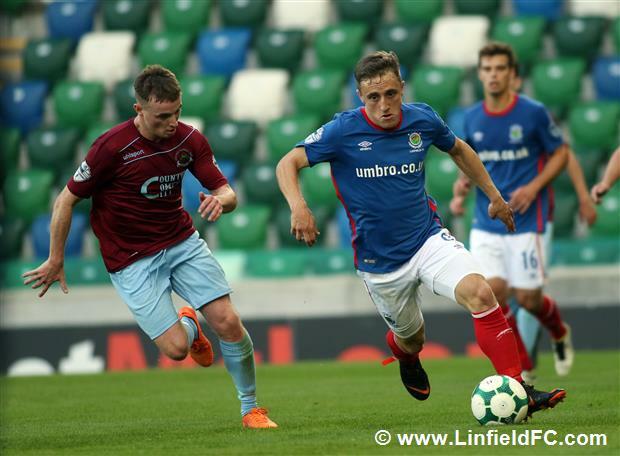 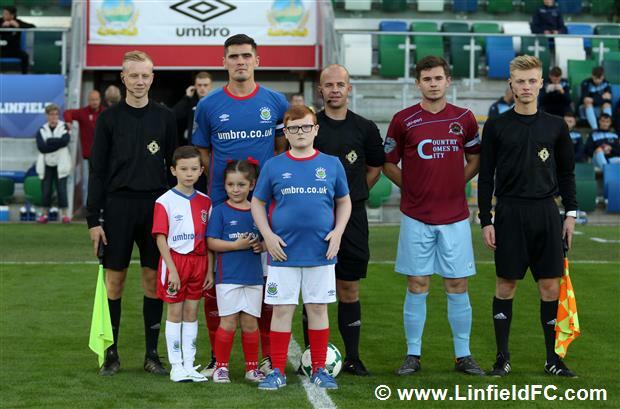 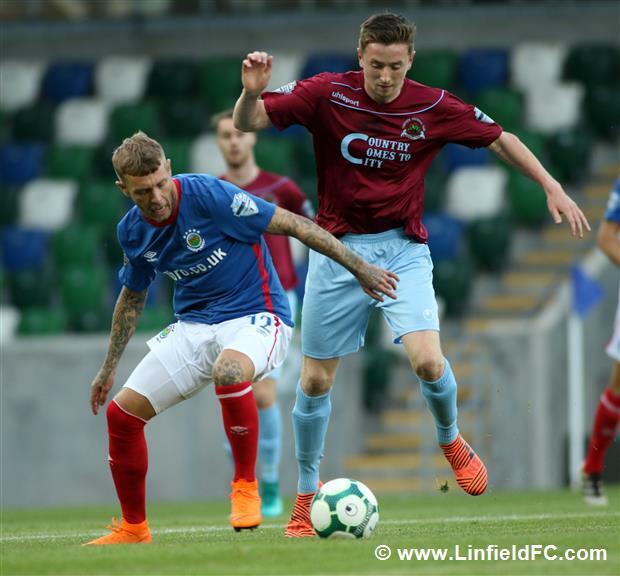 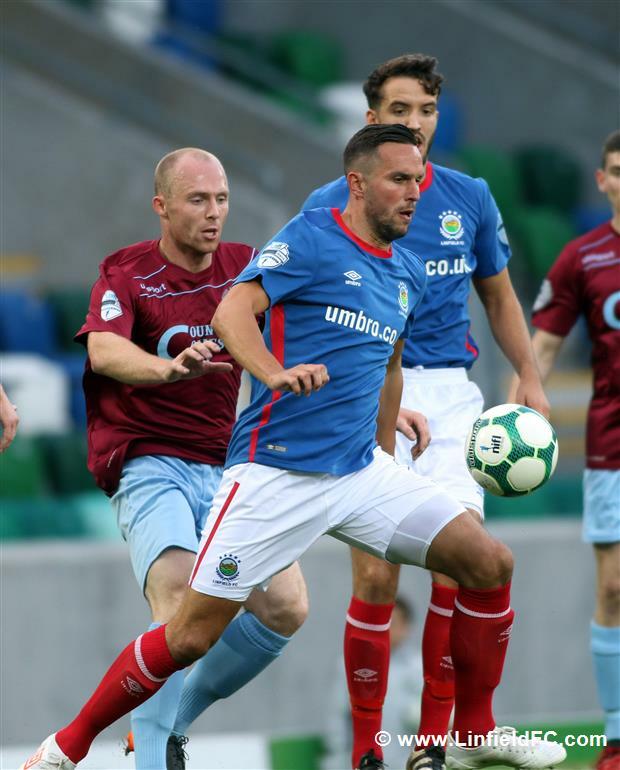 Linfield made it two wins from two after seeing off Institute at Windsor Park this evening with a very professional performance thanks to goals from Waterworth, Casement and Cooper. 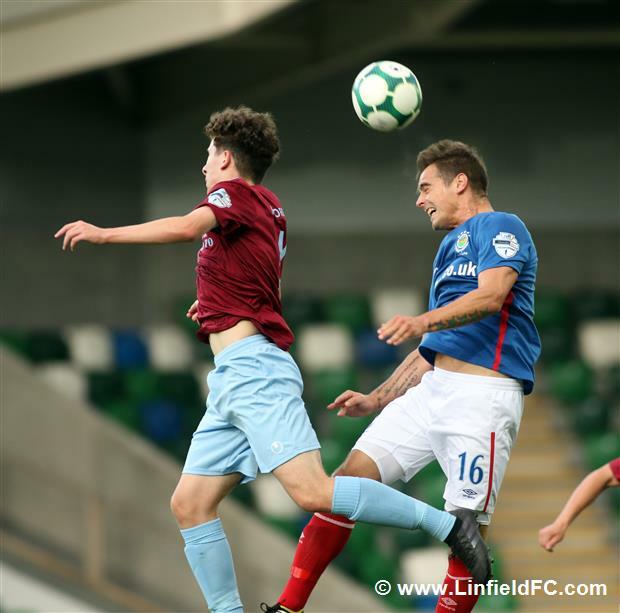 After a very bright start, the Blues were unlucky not to take the lead after five minutes when Josh Robinson got a touch on Matthew Clarke’s driven shot – the touch took it on target but ‘Stute goalkeeper Martin Gallagher was able to gather. 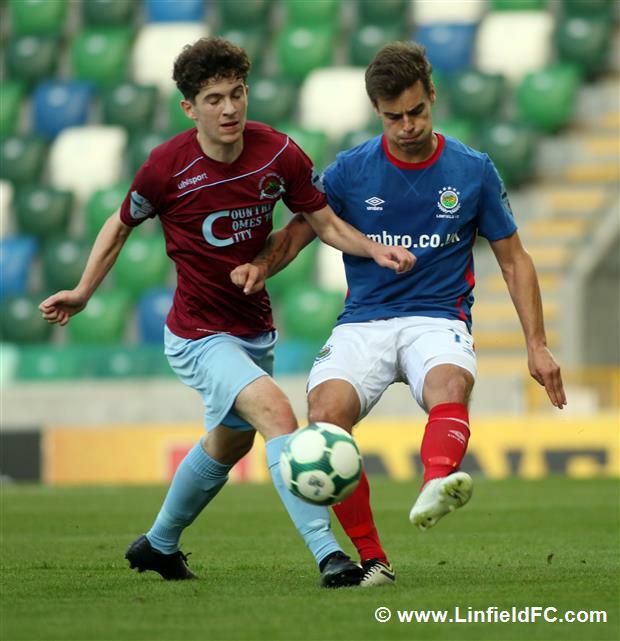 Niall Quinn then curled one just wide after Kirk Millar pulled a free-kick across the ground to Quinn in space. 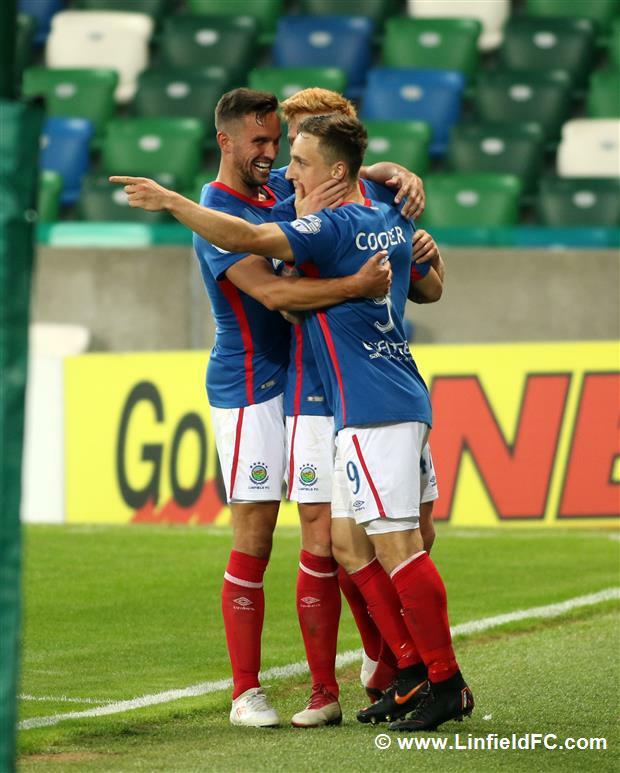 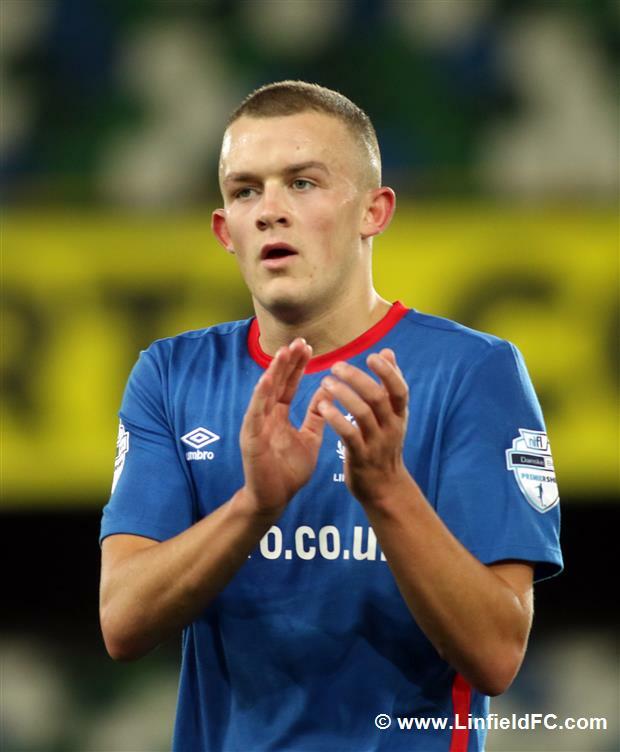 The visitors also threatened when Linfield switched off at a free-kick with Callum Moorhead latching onto Dean Curry’s long ball but the winger couldn’t hit the target with his volley. 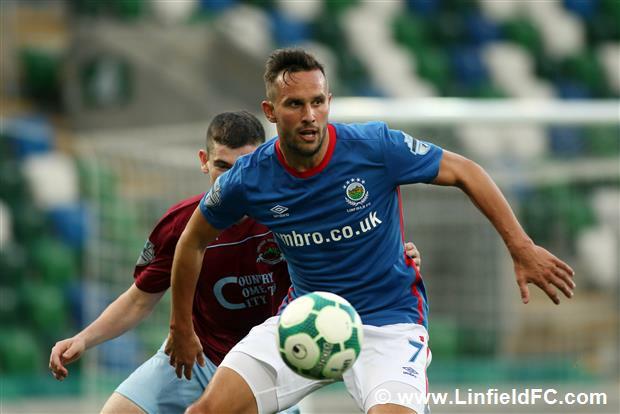 Linfield took the lead on the half-hour mark with a neat move as Daniel Kearns picked out Chris Casement in the box, with the latter pulling the ball across for striker Andy Waterworth to bury the ball into the far corner from 10 yards for his first goal of the season. 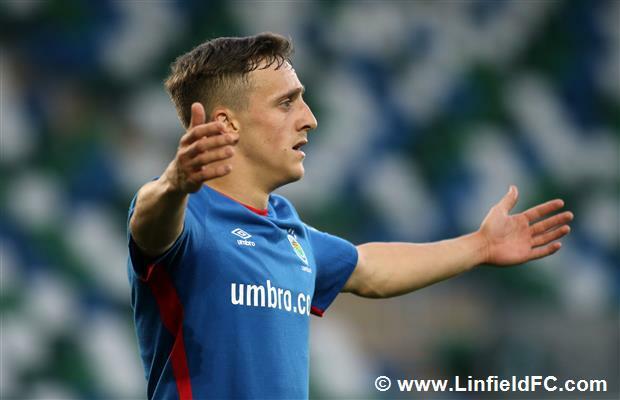 Waterworth very nearly made it two for himself and Linfield two minutes later with a curling effort from the edge of the box, only to see it deflect off Caoimhin Bonner with the ball drifting agonisingly wide of the far post. 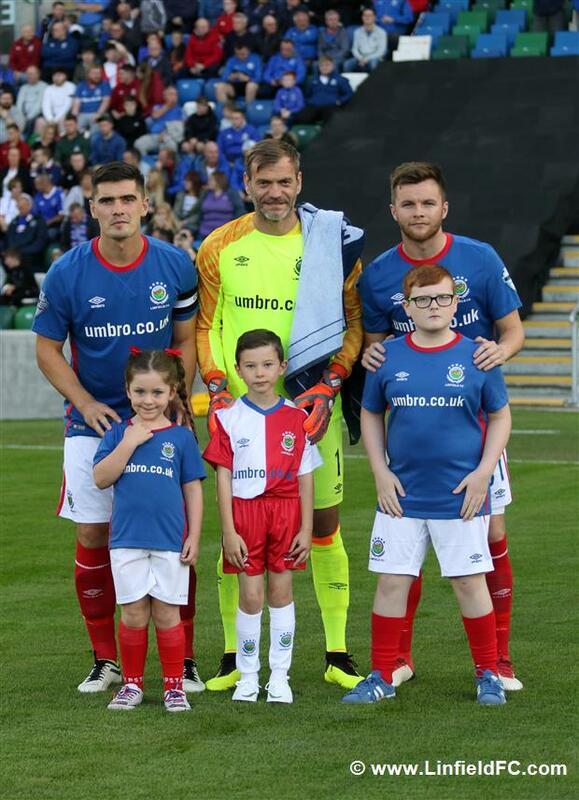 Roy Carroll had to be alert to preserve Linfield’s lead going into half time as he clawed away Jamie Dunne’s cross-come-shot which was heading for the top corner. 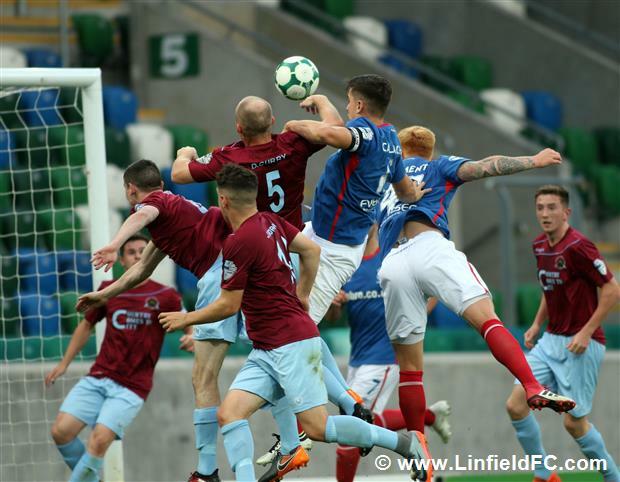 The Blues almost doubled their advantage with the last kick of the half but Martin Gallagher produced a magnificent save, pushing Chris Casement’s 20 yard free-kick onto the post. 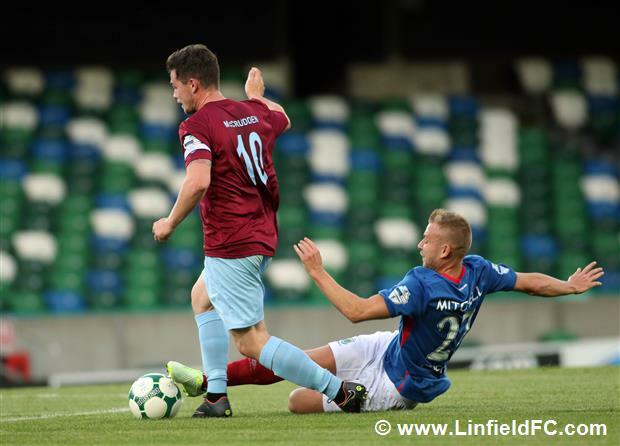 The Blues were again denied by the Institute goalkeeper a minute into the second half after a slick counter. 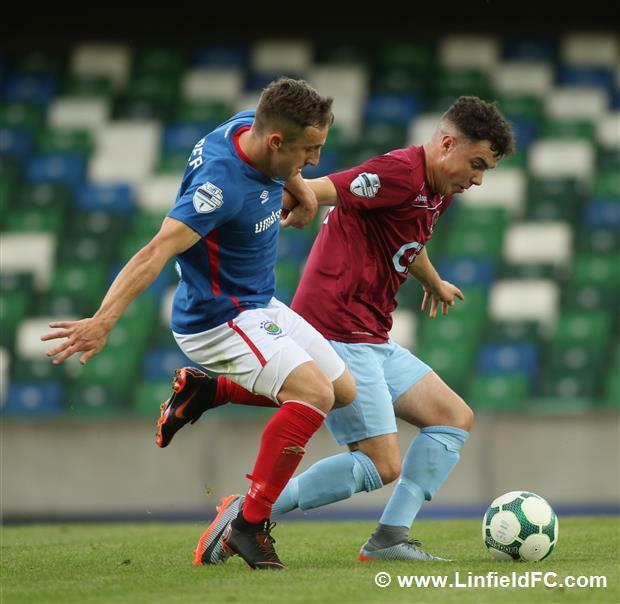 Joel Cooper won possession in midfield before finding Kearns who slipped it to Kirk Millar, Millar checked inside and shot with his left foot but the ‘keeper was down quickly to keep out the low shot. 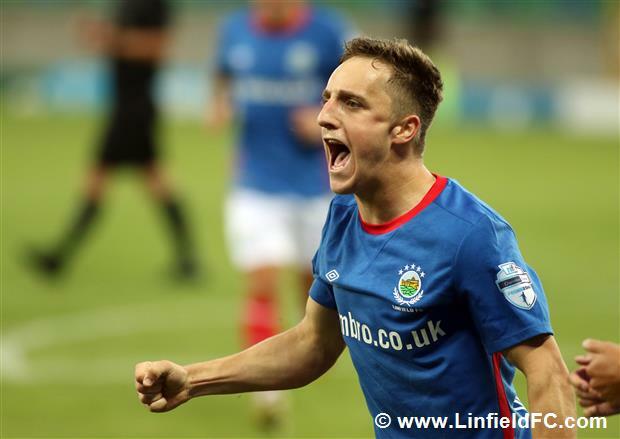 Linfield finally grabbed their second goal on 58 minutes after persistent play. 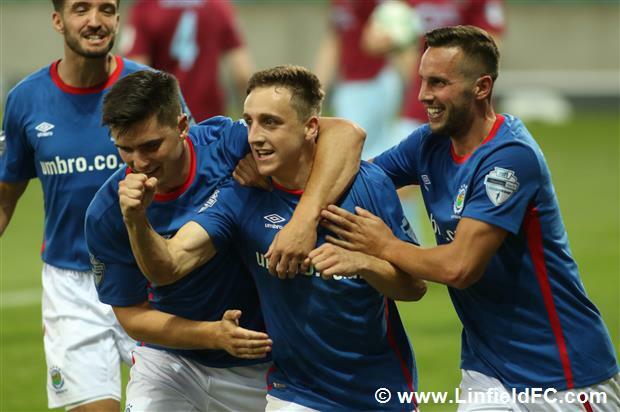 It was a fantastic team goal with Daniel Kearns finding Joel Cooper down the left with an intelligent backheel before Cooper squared the ball across the face of goal with Chris Casement storming in to slide the ball home. 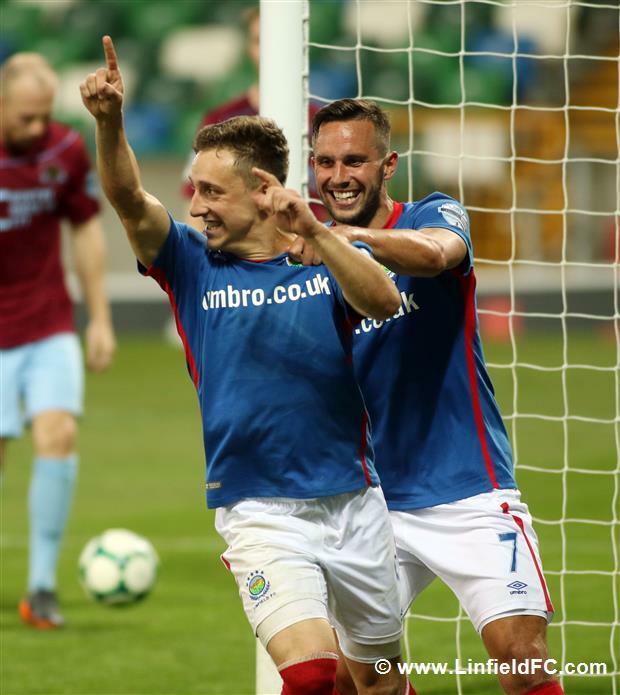 Two became three on 65 minutes when man of the match Joel Cooper netted on his competitive home debut, nodding in a glancing header after attacking Niall Quinn’s inviting free-kick. 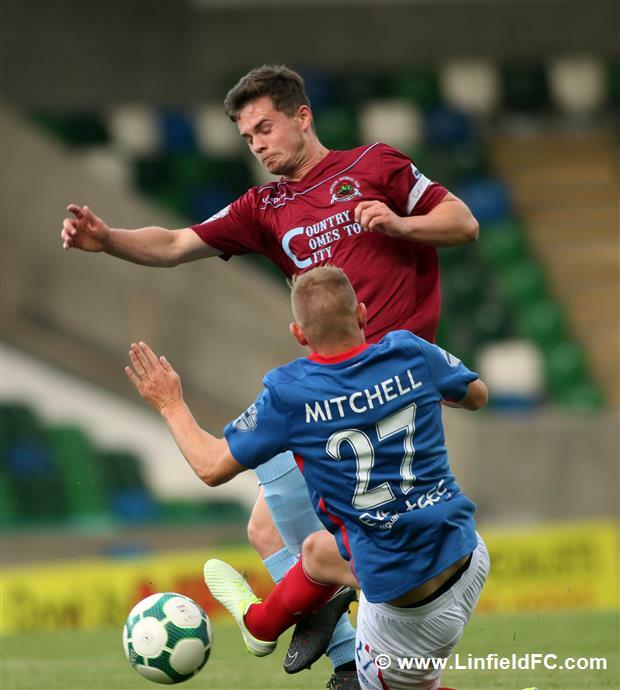 The excellent Daniel Kearns – a threat all night and a joy for the South Stand to watch – almost got himself what would have been a deserved goal, driving at the Institute fullback before fizzing a strike marginally wide. 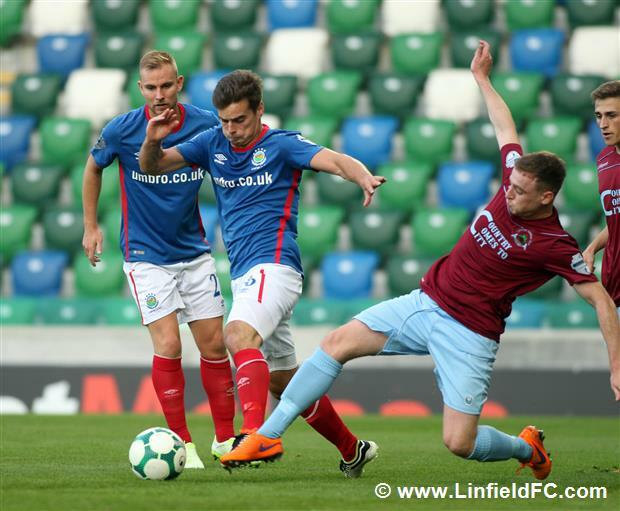 Danish midfielder Benny Moller Nielsen also went close on his competitive debut with a curling strike from the edge of the box which flew just past the upright. 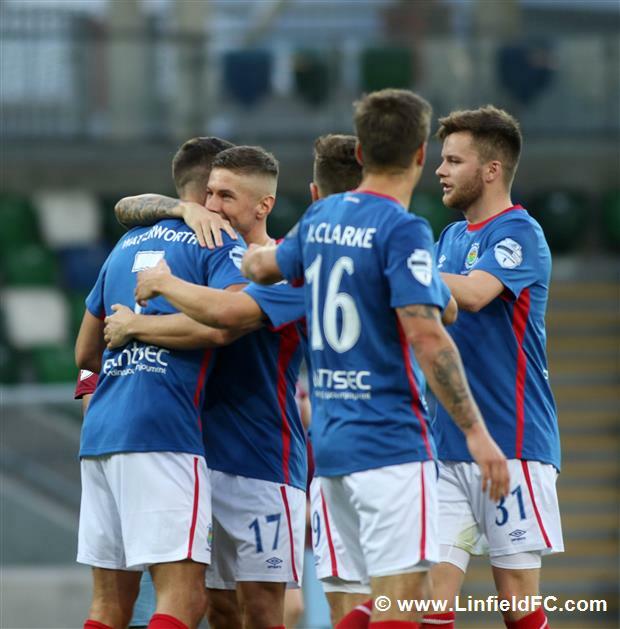 This victory means that the Blues – for tonight at least – sit top of the Danske Bank Premiership with a tough trip to Crusaders next up. 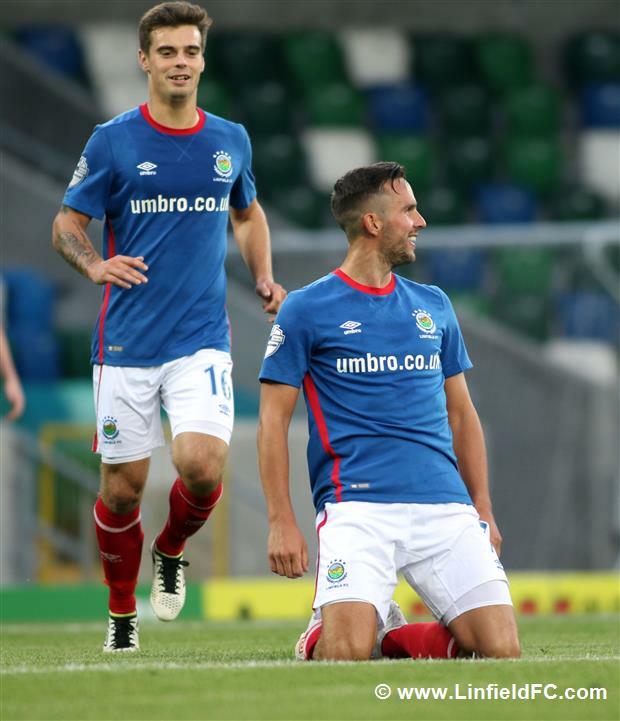 The clean sheet and positivity going forward will please manager David Healy.